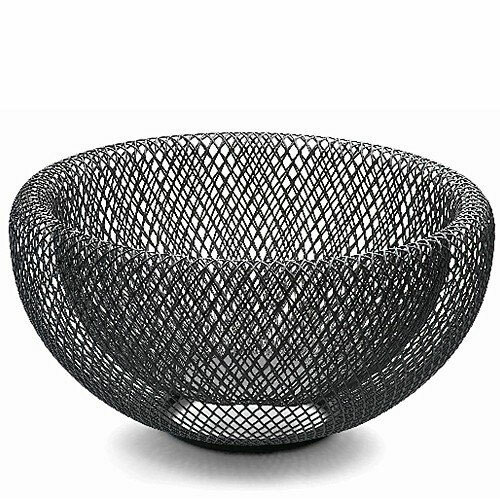 A lightweight heavyweight is what Phillipi calls their 10" mesh bowl. 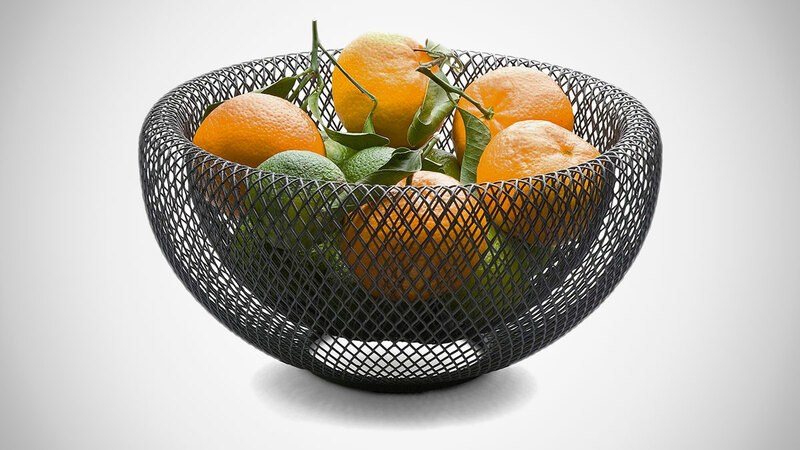 If you like the black steel net aesthetic, it's an obvious choice for a modern kitchen's fruit bowl, and perhaps less obvious, but equally sound choice for the, uh, bowl of fruits the modern couple might keep on their nightstand. 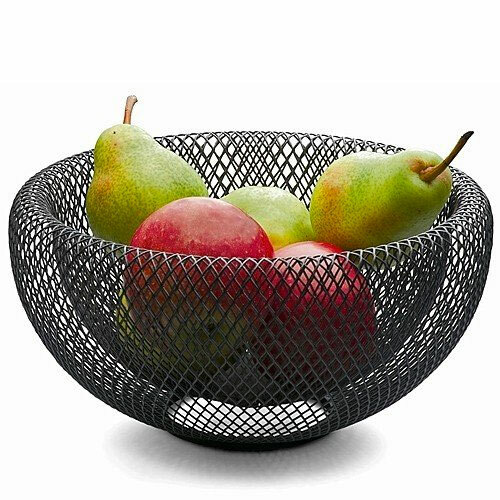 The Phillipi mesh bowl is made in Germany.